If you’ve lost one or more natural teeth, our Island Daily Dental Care team can help you enjoy a complete smile once again. Several effective and lifelike tooth replacement options are available at our Long Island practice, including state-of-the-art dental implants — a seamless match for your natural smile! Contact us in Medford, NY today to schedule an initial consultation with one of our excellent doctors, or if you have any questions about whether you’re the right candidate for this transformative procedure. 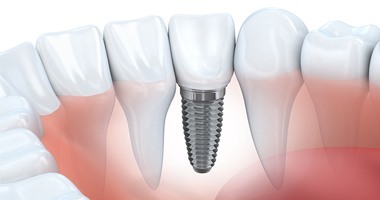 Why Are Dental Implants The Right Choice? The unparalleled success of implants is actually pretty simple. Unlike other tooth replacement options, they’re designed to rebuild the entire natural tooth from the root up. The root is well-hidden under the gum tissue, but its presence is necessary to keep the jawbone strong and healthy. 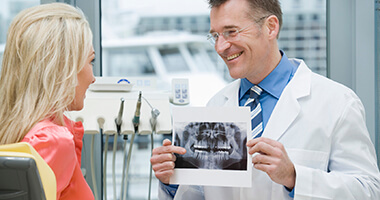 Without a functioning root in place, the bone can begin to deteriorate, leading to reduced oral health and the drawn, hunched facial appearance that’s common in older patients who have lost all their teeth. By replacing the root in addition to the visible crown, dental implants provide patients with the excellent appearance, function, and renewed oral health they deserve. Once you decide that you’re interested in dental implants, our Medford doctors will invite you in for an initial consultation. Patients need an adequate amount of healthy jawbone structure to support their prosthetic teeth in order to ensure successful results. After we’ve determined that you’re a good candidate for the procedure, the implant(s) will be surgically inserted into the jawbone. 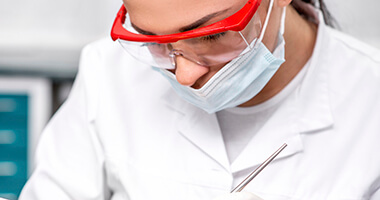 At Island Daily Dental Care, we have the training and experience needed to provide this service right here in-house, no outside specialist required. After the implants are secure within the jawbone, your body’s natural inclinations will take over from there. The oral tissue will gradually form a bond with the biocompatible implant and create a solid foundation for eventual replacement teeth. Because a dental implant replaces both your root and your tooth, it also protects your oral health. Losing a natural root results in deterioration of your jawbone. Placing a dental implant into your jawbone helps to keep it stimulated and healthy and provides the support your new tooth needs. Without a replacement tooth, your surrounding teeth will begin to tilt and shift into the open space. Your new implant crown helps to keep your natural teeth and your bite aligned properly. As the final step, patients will return to our Long Island area practice to have their new implant(s) restored with high-quality, custom-made prosthetics. All-ceramic dental crowns are ideal for individual implants, as they replace the natural tooth without negatively affecting the surrounding natural dental structure. If your tooth loss is more extensive, we may recommend an implant-retained bridge or denture. These appliances cover multiple implants, and because they are fixed in the smile, they’re the sturdiest option available. 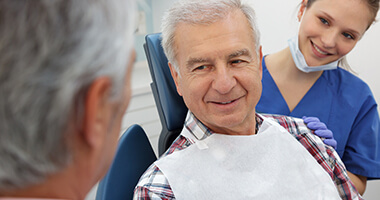 If a patient is familiar with using a traditional denture and would prefer their tooth replacement to remain removable, we can provide that sort of denture (an “overdenture”) as well, combining convenience with the valuable health benefits of implants. Have you been told in the past that you’re not a candidate for dental implants? Maybe you’re lacking enough healthy bone structure for proper implant support? Or perhaps your sinus is getting in the way of your dentist successfully placing the implants? 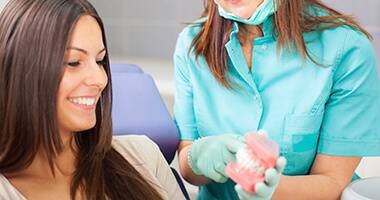 Whatever the case may be, at Island Daily Dental Care we always encourage our patients to contact us for a consultation regarding dental implants since our dentists are extensively trained to provide advanced dental implant services for patients who may have been told that they couldn’t have implants. Dental implants are a smart choice if you are looking to replace one or more missing teeth because they offer excellent longevity. Implants can potentially last for lifetime with the right home care and regular dental checkups, while other replacement options will need to be replaced over the years. 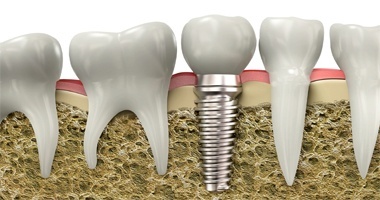 Dental implants are also a very reliable procedure as they offer a 95% success rate. In the long run, choosing dental implants is a wise investment in your oral health.